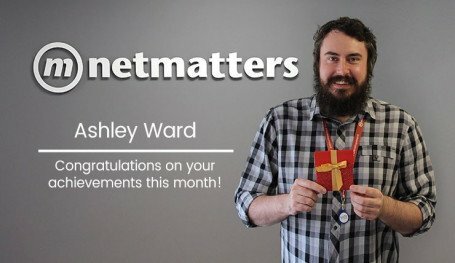 Start of the month means only one thing here at Netmatters - recognising the "Notable of Notable Employees" for January. 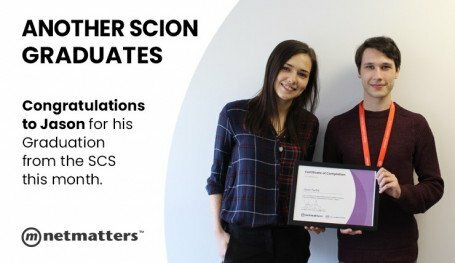 This award is given to an employee who has excelled in their day to day role or has played a critical part in the company's success during the previous month. Each of the department managers is asked to nominate an employee who they feel has particularly impressed during the course of the previous month. Each one of these employees is then considered as a candidate for this award. The Notable of Notables is presented to a member of staff who has been recognised by clients in the positive feedback he recieves. This month's Notable of Notables is awarded to Dieter Harper. Matt Hird – Providing excellent strategic guidance to our digital clients. He really shows he has a drive and passion to succeed. His efforts with new business pitches and client meetings have also been excellent, I have heard excellent feedback on him from a legal client to this accord. – Elliott Peacock. As always, we'd like to show our appreciation to all of this month's nominees! A huge congratulations to all of those nominated this month, keep up the outstanding level of work! The Notable Employee Scheme is just one of many benefits that Netmatters offers to all employees. If you would like to be a part of our fantastic team and be in the running for some extra treats, view our open job vacancies today; we’re always on the scout for smart, talented individuals to join our fast expanding team! You can contact us via the form below, or ring us on 01603 515007 today.